Join us for the 2017 Homecoming Game on Friday, October 20! All Alumni are invited to join us in the Alumni Tent, located in the North End Zone. You can enjoy food, beverages and fun with your classmates starting at 6:00 PM. Stay and enjoy the game from a field-level view as you root the Stallions onto victory against Winton Woods starting at 7:00 PM! Attention SFD Alumni Band Members! 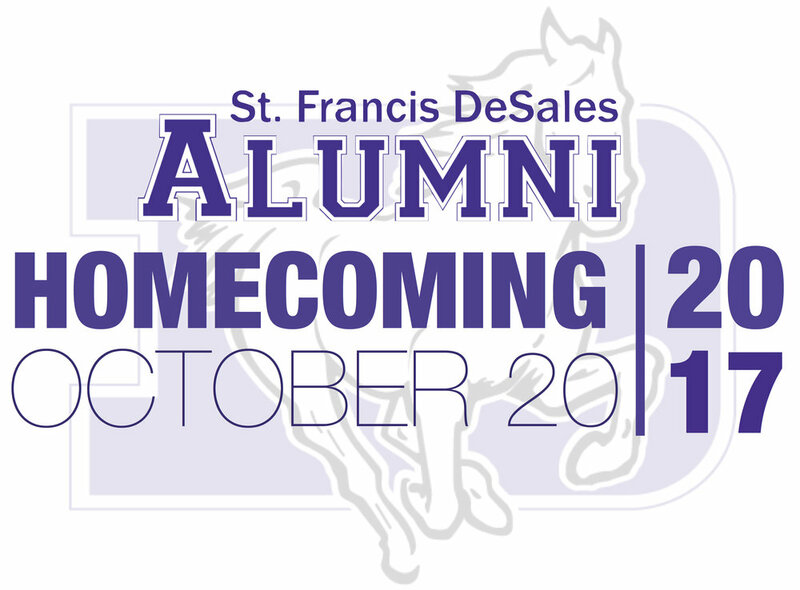 The St. Francis DeSales High School Marching Band is inviting all past marching band members to join them on the field during the Homecoming Game on October 20. Mr. Steller would like those interested to meet in the Band Room at 6PM.